Dr. Davidson is the primary care doctor at Professional Dental of Clarkston. You will see him for the vast majority of your general dentistry needs. He is a Michigan native and has dedicated the past 16 years of his life to education and absolute excellence in dentistry. He graduated from the University of Pittsburgh School of Dental Medicine in 2003 and attended Michigan State University prior to dental school. Since obtaining his Doctor of Dental Medicine degree, Dr. Davidson has committed himself to becoming a lifelong learner in health care. He has traveled throughout the United States attending extensive educational training programs. Over this period of time, he has been taught by some of the country’s most well-known and respected dentists. In November 2014, Dr. Davidson achieved the elite “fellowship” distinction at the world renowned Las Vegas Institute (LVI). In doing so, he became one of less than ten dentists in the state of Michigan to be awarded this unique distinction. In March 2015, Dr. Davidson completed the comprehensive dental sleep medicine program at LVI. The Las Vegas Institute is the leading international institution dedicated to the progress of the dental profession. 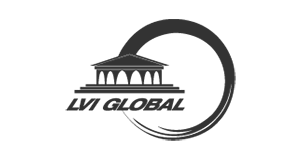 LVI integrates comprehensive diagnosis, contemporary techniques, and cutting edge technology. It is through this intense curriculum at LVI that Dr. Davidson has truly helped change the lives of his patients. This is accomplished through a true physiologic “whole body” approach to your dental care. Dr. Davidson remains committed to looking “beyond just your teeth” in order for his patients to achieve optimal health care and wellness. 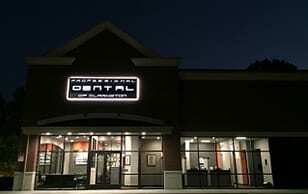 Dr. Davidson’s forte has always been comprehensive general and cosmetic dentistry. He remains committed to the latest trends, clinical techniques, and dental products available. Advanced post graduate training, however, has allowed Dr. Davidson the privilege to help many patients that have suffered a lifetime of many chronic painful conditions. These common conditions include: teeth clenching / grinding, TMJ disorder, chronic headaches, migraines, cervical neck and shoulder pain, poor head and neck posture, worn down teeth, and /or a “bad bite”. Dr. Davidson also focuses on airway obstruction disorders such as obstructive sleep apnea, snoring, and other sleep disorder breathing conditions. Dr. Davidson is a member of the International Association of Physiologic Aesthetics, the American Academy of General Dentistry, the American Academy of Craniofacial Pain, and the American Academy of Dental Sleep Medicine. He enjoys all aspects of dentistry and welcomes the opportunity to provide his patients with unparallelled diagnosis and treatment which incorporates a scientific literature reviewed approach. Every one of Dr. Davidson’s patients are always treated as if they were family. He treats every patient’s mouth and body with the same recommendations, gentle care, and attention to detail as if it were his own. Whether you are in need of a comprehensive examination, basic restorative dentistry, complex full mouth reconstructive dentistry, or have a chronic / painful head and neck condition, you can always expect the very best from Dr Davidson. Dr. Amy Davidson is a licensed dentist who provides all the physiologic jaw and dental arch developmental services at Professional Dental of Clarkston. She also treats many common myofunctional / speech disorders as it relates to structures of the head and neck region. She is originally from Pittsburgh, Pennsylvania and completed her Bachelor of Science degree at the University of Pittsburgh in 1998. She continued her education at the University of Pittsburgh School of Dental Medicine and graduated in 2002. 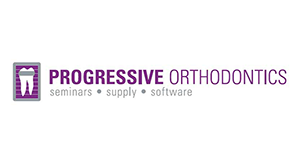 Shortly after dental school, she moved to Michigan and completed a 2-year intensive orthodontic* training program with Progressive Orthodontics Seminars (POS). This program has a proven 34-year history of successfully training over 7,000 general dentists from all over the world. The POS program has helped to provide Dr. Amy her foundation of clinical knowledge. * Dr. Davidson is not a licensed specialist in orthodontics. Dr. Amy’s very best treatment modalities continue to change as her knowledge and skill set is always evolving through continuing education. She considers herself a truly dedicated life-long student in the dental field. Currently, she continues to expand her knowledge through several leading educational organizations including the world renowned, Las Vegas Institute for Advanced Dental Studies in the areas of Physiologic Neuromuscular and Full Face Orthopedic concepts. 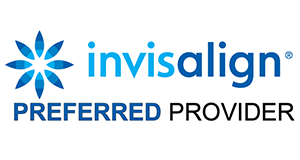 She is also a certified “Preferred Provider” in Invisalign. Dr. Amy is currently working toward a Masters degree in applied breathing science. This program is designed for various health care professionals to help patients with sleep and other daytime breathing/airway disorders. She is trained to diagnose and treat lip and tongue ties on infants and children. Some infants that struggle to thrive due to their inability to latch to their mother during feeding can be due to a lip or tongue tie. It is life changing to both the infant and mother’s health to have this procedure. Dr. Amy’s primary treatment concepts focus on the in-depth diagnosis of physiologic dental and skeletal malocclusions (“bad bites”). She understands if there is a physiologic problem with any area of the head and neck region, it requires a physiologic solution. Straight teeth do not always translate to a healthy TMJ, muscle/jaw balance, or airway health. These cutting-edge concepts are what Dr. Amy is passionate about in dentistry. It is important for her to consider proper muscle balance with the TMJ joints in every one of her patients. Recognizing airway obstruction and sleep / breathing disorders in both her adult and pediatric patients is paramount. Dr. Amy believes in the value of early muscular skeletal intervention as it relates to facial development in young children. However, she evaluates each patient individually and understands that not all cases require early treatment. The most important aspect of Dr. Amy’s services is the value that she takes the time to see every one of her patients at each individual visit. The International Association of Physiologic Aesthetics. Linsey has been a valuable part of Professional Dental of Clarkston since 2010. She has worked in the medical and dental field for the past 11 years. Linsey has experience in treatment planning, insurance coordination, and patient scheduling. She also holds a certificate in dental assisting and is CPR certified. She is dedicated to making sure that our patients fully understand their dental insurance benefits. She excels in reviewing our patient’s financial options and insurance utilization in order to make their dental care affordable. Linsey thrives on our team camaraderie and takes great pride in working in a state-of-the-art dental practice. She believes that Professional Dental of Clarkston has the unique privilege to be providing the highest level of care in our community. Her favorite aspect of her job is to see the post-operative transformations made in our patient’s smiles and know that we had a part in changing someone’s life! In her free time Linsey loves to garden, travel, and spend time outdoors with her husband and her 3 children. Amanda began her dental journey right out of high school. She quickly learned the importance of service and patient education. She enjoys helping patients understand their dental health by taking the time to answer their questions and diminish any fears. Amanda values continuing education and how the latest advancements can help ease patients that may be in pain and improve their overall experience at our office. She takes great pleasure in interacting with patients and building strong relationships. Amanda took a short break from the dental field after she graduated from Central Michigan University in 2012. She worked in the public relations field where she fine tuned her customer service skills and expanded her love for working with the community. In 2013 she returned to her true calling in the dental field and joined the team at Professional Dental of Clarkston. In her free time she loves spending time with her husband and son, traveling, reading, crafting and watching all things HDTV. Laura joined Professional Dental of Clarkston in 2016. Laura grew up in Clarkston and enjoys seeing familiar faces in the office. Laura is passionate about how the exceptional training the doctors have earned from the Las Vegas Institute for Advanced Dental Studies can help patients who are in pain, suffer from headaches, TMJ, sleep apnea or other related issues. In her free time she enjoys cooking, reading, and spending time with her husband, family and friends. Lori has been working full time as a Registered Dental Hygienist with Professional Dental of Clarkston since 2009. She began her dental career 20 years ago as a dental assistant and quickly learned the fulfillment the dental profession offers in helping others. Lori received her Dental Hygiene license after graduating from Oakland Community College in 2003. Since then, she has spent considerable time continuing her dental education and learning how she can most effectively treat her patient’s individual dental needs. In her free time, she enjoys boating on our beautiful Michigan lakes, bicycling, gardening and cooking for her family. Lori truly loves what she does each day and it is evident when she treats her patients. Jessica is a Registered Dental Hygienist and joined Professional Dental of Clarkston in 2013. She attended Baker College of Auburn Hills where she received her associates of Applied Science, majoring in dental hygiene. Jessica has strong passion in helping patients improve their overall health and well being. She displays a great deal of enthusiasm for dental hygiene and her patients. She is dedicated to providing a great experience for her patients at each visit. She is passionate about dental hygiene, patient education, and communication. In her fee time, she enjoys kayaking and spending time with her husband, daughter and friends. Melinda happily joined our team in April 2016. She found her passion for dental hygiene when she was in High School and her instructor / mentor for her dental assisting course encouraged her to continue her dental education. She worked as a dental assistant for 3 years before pursuing her degree to become a Registered Dental Hygienist. Melinda graduated from Ferris State University in 2013 with an Associates Degree of Applied Science in Dental Hygiene. Melinda feels it is very gratifying to work as a hygienist and is excited to provide care for her patients in a caring atmosphere where their comfort and well-being is the main concern. In her spare time Melinda enjoys scrap booking, crafting, reading, and spending time with her husband Jarod and their German Shepherd, Kayla. Laura has been a part of Professional Dental of Clarkston since 2010. She is our primary assistant for Dr. Amy Davidson. After graduating with honors from Berkley high school in 2004, she soon learned that wanted to be in the dental field. She furthered her education by completing a dental training program and for the past 7 years has done everything from general dentistry, denture repairs, oral surgery, and Neuromuscular Dentistry. She has completed a hands on training program at the Las Vegas Institute (LVI) for Advanced Dental Studies. This training is used to help our doctors treat patients that may have such conditions as a TMJ disorder, facial pain, headaches. When Laura is not working full time, she enjoys traveling, reading, spending time with her husband and two daughters. Jen graduated from Central Michigan University with a Bachelors Degree in Human Resources. She worked in the field for over 5 years but had realized that the field of dentistry was calling her name. She moved back to her home state of Michigan after living in Chicago for many years. Then she enrolled in the Dental Assisting program at Baker College of Auburn Hills. Jen graduated with honors in June 2015 where she received her Associates degree in Dental Assisting. She then went on to receive her Registered Dental Assistant (RDA) license from the State of Michigan. Jen enjoys working with people and truly loves what she does each day. In her spare time, Jen likes to attend barre fitness classes, watch Food Network, cook, and spending time with family and friends.